After a very slow start to the year, a surge of unseasonal activity in the country-house market during the traditional ‘close season’ of July and August has made this the hottest summer since 2007, in more senses than one. Apart from the market for houses priced between £2 million and £5 million-which has been hit by the double whammy of reduced City bonuses and the new Stamp Duty rate of 7% on properties sold for more than £2m-estate agents around the country have seen an encouraging jump in sales of country properties valued between £1m and £2m, and from £5m upwards. Crispin Holborow of Savills is finally seeing signs of London money rippling out beyond the Home Counties to the Cotswolds (likely to be ‘the talking point of the autumn’) and the West Country, and he expects to see a gradual, but sustained recovery over the next 12 months. The biggest cloud on the horizon for most agents, however, is the lack of new properties coming to the market between now and Christmas, which may lead to further reductions in price for those already in the pipeline. On the other hand, a shortage of shiny new houses could help to narrow the price gap between buyers and vendors who are already negotiating, and so clear the shelves of stock that, under normal circumstances,would have long since been sold. Rupert Sweeting of Knight Frank (020-7629 8171) is also cautiously optimistic, as he prepares to test the autumn water with the launch onto the open market of the first of the new season’s trophy houses, imposing Oakfield Park near the village of Mortimer, Berkshire, at a guide price of £6.5m. Formerly the dower house to Wokefield Park, seat of the Brocas family, Oakfield Park, which stands in 76 acres of pristine gardens and grounds, was sold away from the estate many years ago. 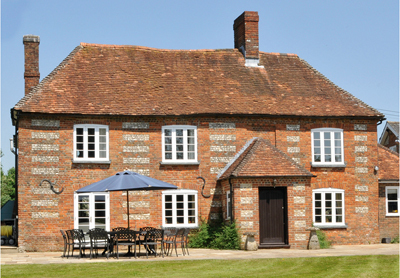 The house, which is unlisted, was badly damaged by fire in 1986, but has since been rebuilt, partly with bricks recovered from the original kitchen garden. Over the years, various extensions have been added, including a splendid orangery built by the present vendors, who have modernised throughout, including the elegant five reception rooms and six bedrooms. They have also transformed the gardens and grounds, which boast an eight-acre pleasure lake, a boathouse, a swimming pool, kitchen and woodland gardens, and magnificent equestrian facilities, with stabling for five horses. Over in the West, Will Morrison of Knight Frank in Exeter has enjoyed a bumper August, exchanging contracts on 12 properties in as many days, at prices ranging from £600,000 to more than £4m. Pride of place went to a sporting Somerset gem, the very splendid Bittescombe Manor at Upton in the Brendon Hills, which launched in March at a guide price of £4.75m and sold for close to that figure, to an expatriate returning from Hong Kong. Just over the county border in Devon, Knight Frank (01392 423111) are about to launch historic, Grade II-listed Morebath Manor, near Tiverton, on the market for the third time in a decade, at a guide price of £5m. 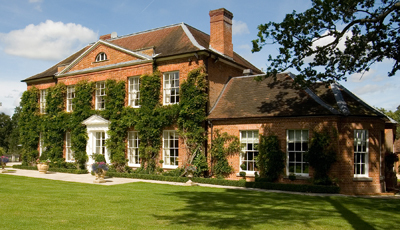 Set in 21 acres of landscaped gardens and parkland in a sporting area renowned for its highflying birds, the grand, nine-bedroom manor house dates from Domesday, but was rebuilt between 1892 and 1894 for Charles Digby Harrod, founder of the landmark Knightsbridge store, following his retirement in 1891. Meanwhile, up North, Tim Waring of Knight Frank’s Harrogate office (01423 530088) expects the sale, on behalf of trustees, of the keenly priced Kildwick Hall, near Skipton, North Yorkshire, which launches in today’s Country Life at a guide price of £1.85m, to ‘be the barometer for the country-house market in the county this autumn’. 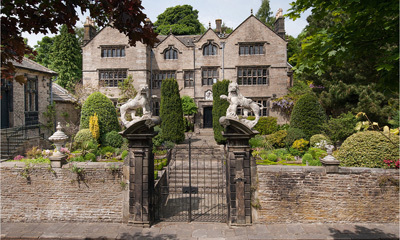 Set in 70 acres of formal gardens and grassland overlooking the Aire Valley between Skipton and Keighley-a favourite stomping ground of the Brontë sisters, as an article in Country Life (January 28, 1911) reminds us-the Grade II*- listed Jacobean manor house was built in about 1642 for John Coates, before passing to the Currer family, who extended it in the fashionable Palladian style in the early 1700s. In the early 1900s, the hall was the home of the industrialist Sir John Brigg MP, and was converted into a hotel in the 1970s, before reverting to private ownership some 20 years later. The core of the house is the central Great Hall and the lovely formal drawing room overlooking the south terrace. There are three further reception rooms, five bedroom suites, a family room, a gym and two ancillary buildings, The Justices and The Mullions-the first has recently been used as a home office, the second a substantial twobedroom house. The property is being offered as a whole or in four lots. As a seasoned campaigner in the rural north Hampshire marketplace, David Smith of Carter Jonas in Winchester (01962 842742) is generally upbeat about the prospects for this perennially sought-after area, which benefits from a strong local market, as well as a regular intake from schools-driven London buyers. He has also seen an uplift in sales in July and August, particularly in the area between Andover and Basingstoke. ‘People who come to this lovely part of Hampshire rarely want to leave,’ he says, as he prepares to launch the charming Whistlers Farm at Tangley, six miles from Andover. 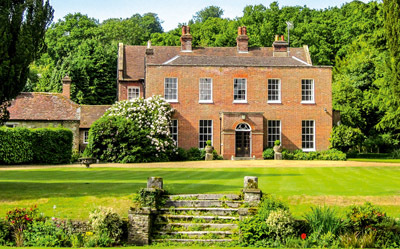 The agents quote a guide price of £2.5m for the brick-and-flint farmhouse. Over the years, the house has been extended and it now features three reception rooms, a kitchen/breakfast room, five bedrooms, three bathrooms, and glorious views over the surrounding AONB. The nearby former coach house has also been converted into a separate four-bedroom house. The ever-cautious John Denney of Hamptons International’s country department has been feeling the effects of the current drought in the market for houses at £3m to £5m, which relies on London buyers, although his firm is still riding high on the strength of the London market and increased demand for houses below the dreaded £2m threshold. But, with ‘quite a lot of optimism coming out of the City’, he expects to see ‘a bit of a rally in September’. A likely beneficiary of that new mood of optimism is the vendor of the classic Georgian Grayswood House, at Grayswood, near Haslemere, which is on the market for the first time in more than 30 years, through Hamptons in Guildford (01483 572864), at a guide price of £3.5m. Described as ‘a rare example of a genuine Georgian village house with striking gardens and a wonderful outlook over its own parkland grounds of about 28 acres’, Grayswood House, listed Grade II, was built in about 1810, with Victorian additions believed to date from about 1860. It comes with several large outbuildings, including a substantial oak-framed barn, built in about 1560. The house, which is refreshingly unspoilt but needs updating, has four reception rooms, a study, a kitchen extensive cellars, five main bedrooms, three attic rooms and two bathrooms. Throughout the recession, the one sector of the property market that has remained consistently buoyant is the market for farmland, and arable farms in particular, whereas the market is much stickier for country estates, especially those with large principal houses, says Mark McAndrew of Strutt & Parker. But with few of either coming to the market this autumn, buyers will need to get on their bikes and ride north if they want to buy a first-class arable farm with an established shoot. Vendors of estates, on the other hand, will need to be conservative on price if they want to find a buyer this side of Christmas, advises Mr McAndrew. 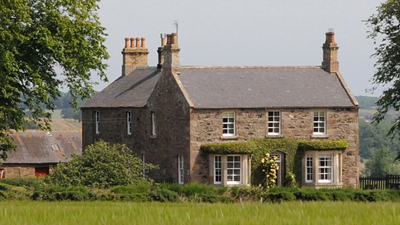 Strutt & Parker (020-7629 7282) expect the sale, at ‘offers over £4.75m’, of the 651-acre Blackburn Farm at Chirnside, seven miles from both Berwick-upon-Tweed and Duns, to create strong competitive interest from farmers on both sides of the border. This part of Berwickshire is a gently rolling landscape of fertile farmland with southerly views across the lower Tweed valley to the Cheviot Hills of Northumberland. Blackburn Farm is a productive arable farm with considerable sporting, amenity and residential value, including a substantial five-bedroom stone farmhouse, four let cottages and two further cottages in need of renovation. It also offers an extensive range of modern and traditional farm buildings, and an enjoyable driven pheasant shoot.